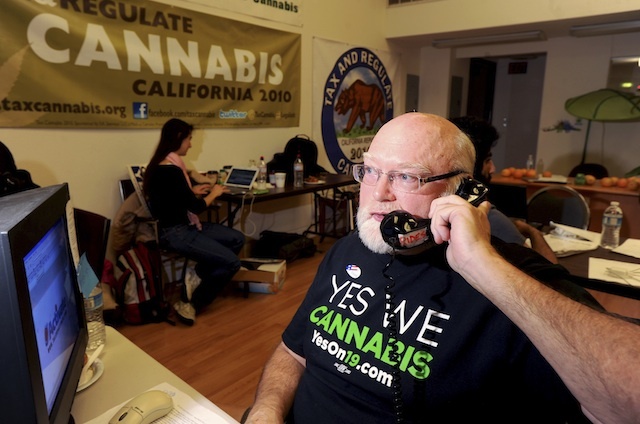 Phone Bank for Weed Freedom! Do your part to make history…. Here is a great way you can be part of the solution, no matter where you live. Help call voters inb Colorado to pass Amendment 64. Your voice, as a weed activist, can go a long way to assuring people that they are supported in their vote to legalize weed for adults to use. They need to hear from other rational human beings why it is time to end the disastrous policies of prohibition and vote for a more sensible solution. Below is a letter from the Amendment 64 campaign manager that tells about the volunteer effort. If you have the time and energy, and if you love weed and want to see it returned to being a safe, enjoyable and helpful resource for adults to have access to then do your part to make this happen. You can help legalize marijuana in Colorado no matter where you live, from the comfort of your own computer. Just Say Now and the Amendment 64 campaign need your help contacting voters in Colorado to support marijuana legalization on Election Day. We’re organizing activists to call voters on weeknights and weekend afternoons over the next 2 weeks. Can you sign up to call voters in Colorado sometime over the next two weeks? We’ll send you an email reminder 30 minutes before you’re supposed to start calling. Start making calls right now! Sorry, I can’t make calls – but I can chip in $5+ to help get out the vote. Note that all call times are Mountain Time. Just Say Now will have staff on-hand and available during these times in case you run into any trouble or have questions. Calling voters could not be any easier with our online phone banking tool: just login using Facebook, Twitter or your e-mail address and begin calling voters right away. Even if you don’t live in Colorado, calling voters in support of Amendment 64 is a great way to get involved in reforming our nation’s marijuana laws. The more people we have calling voters, the better chance we have of success on Election Day.